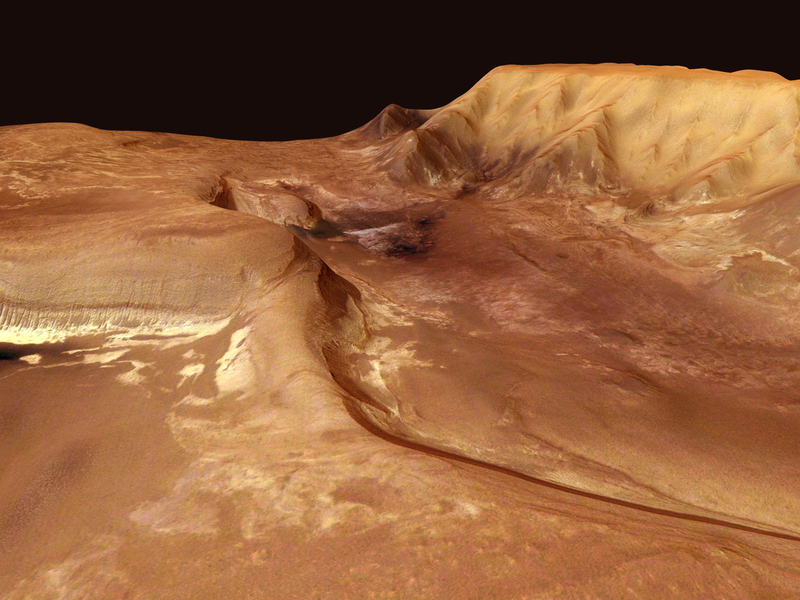 INFO VISUALIZATION: The European Space Agency has some new generated images of Mars that are quite nice. This image of the southern part of Valles Marineris, called Melas Chasma, was obtained by the High Resolution Stereo Camera (HRSC) on board the ESA Mars Express spacecraft. Read the story, or just check out the full image. Agency staff are planning future research into the possibility of inducing a hibernation-like state in humans. "We are not sure whether it is possible," says Marco Biggiogera, an expert on hibernation mechanisms at the University of Pavia, Italy, who is advising ESA. "But it's not crazy."